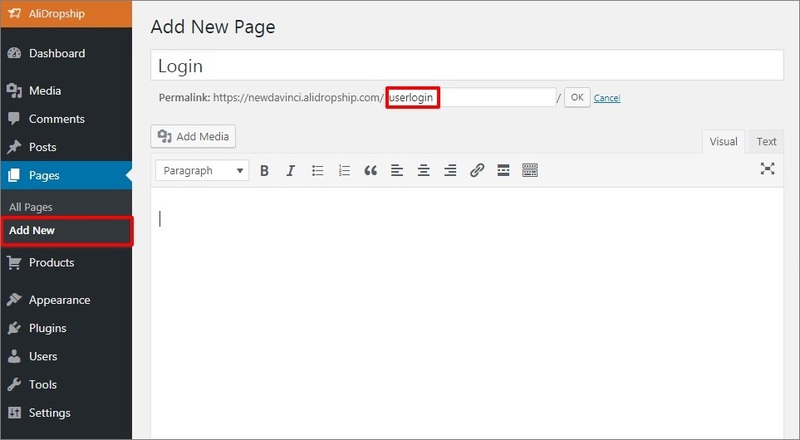 To replace the 'Page not found' page title with 'Login', go to your WP admin panel => Pages. Give it a name. For example, 'Login'. Edit your permalink. You can visit the Login page to check its URL. 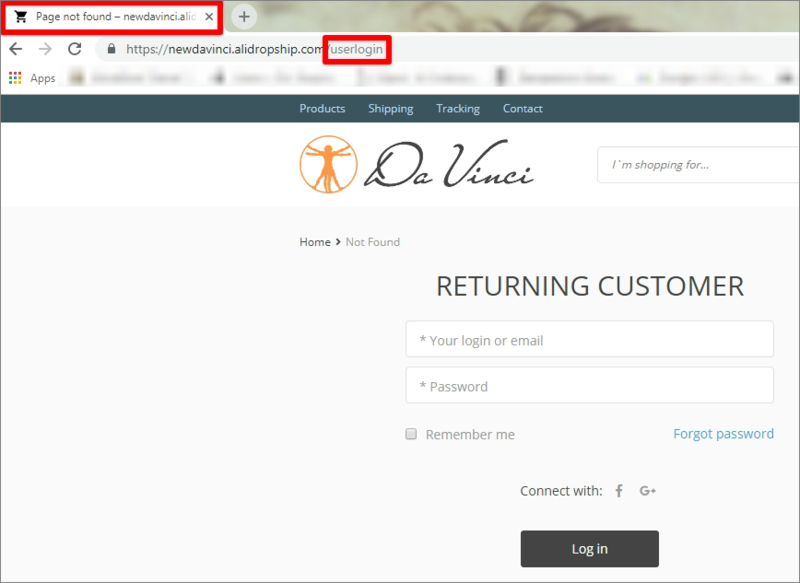 For example, https://newdavinci.alidropship.com/userlogin. 5. Click Publish to finish.